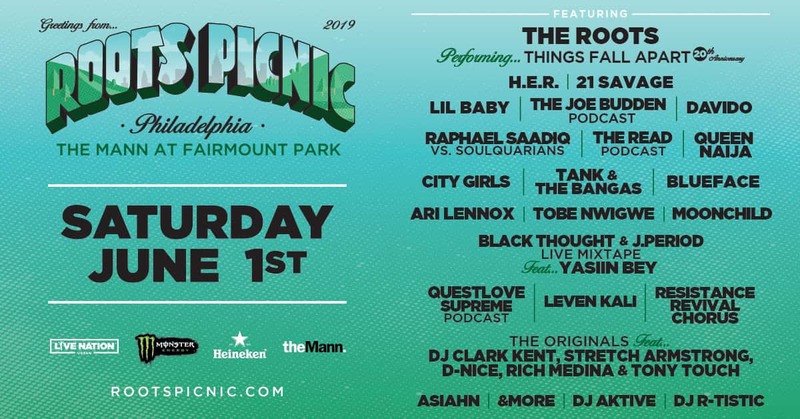 ROOTS PICNIC 2019 featuring The Roots is coming to The Mann at Fairmount Park Saturday June 1st! Featuring Phareell and the Roots, LIL Wayne, Solange, 21 Savage and more. Head to ticketmaster.com to get tix NOW or ENTER BELOW for your chance to WIN with 95.1 WAYV!